We are grateful to share some good news. Phase I of the Quail Springs Capital Campaign to buy the land is complete. 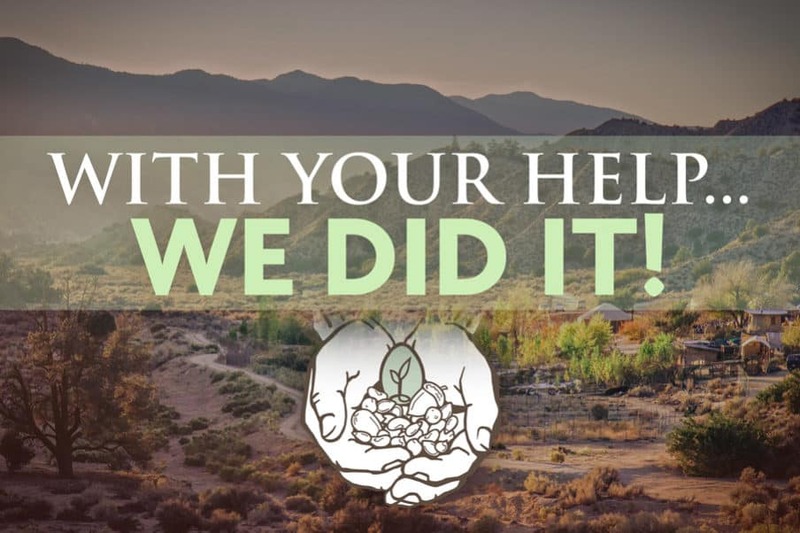 The enormity of this collective action cannot be overstated, and we extend infinite gratitude to all of you who contributed and helped us raise the money to buy these precious 450-acres. We are humbled by all of the generosity. This means that we can care for the land in perpetuity, that we can enact the first phases of our 200-year vision, and that we can plant trees we'll never sit under the shade of. With this first phase of our fundraising accomplished, we plan to take a much-needed break to focus on programming, land stewardship, community engagement, and personal revitalization for 2018. In 2019, we will undertake a feasibility study for Phase II of the capital campaign which will support critical infrastructure at Quail Springs. A major focus of this effort is our intention to work closely with the county to design a 'bridge' building that helps move forward the legalization of safe, affordable, non-toxic buildings. We will keep you posted! Aloha! We are so proud and happy for all of you buying the land. Danielle and I also just bought a small property in Ventura with fruit trees. We dreamed and searched, after so much from inspiration from the permaculture community and now we are proud to have you officially as neighbors. We look forward to continue to learn from all of you and support the vision. We would also love to volunteer sometime again. Thanks and Congrats, Ricky! Let us know if you’re looking to come out sometime! Use the contact form in the navigation bar above to reach us.